FIFA corruption. Head injuries and domestic violence in the NFL. Donald Sterling. There's no shortage of sports crises to trouble organizations and sponsors. NEW YORK: Ketchum has launched an offering to help sports institutions and the brands that sponsor them contend with reputational challenges on and off the field. Known as Ketchum Game Plan, the offering launched this month. It combines expertise from the firm’s sports and entertainment and issues and crisis management practices. Shawn McBride, EVP of sports for Ketchum sports and entertainment, and issues and crisis management partner and director John Bradbury are jointly leading Ketchum Game Plan. McBride said clients have frequently requested the two practices’ combined services, prompting the creation of the service. The sports world has seen a plethora of reputational crises in the past year, including NBA Commissioner Adam Silver’s swift dismissal of Los Angeles Clippers owner Donald Sterling and human rights issues before the Winter Olympic Games in Sochi, Russia. The NFL has also been under the microscope as it deals with domestic violence incidents, player head injuries, and cheating scandals. More recently, US and Swiss authorities began investigations into what they say is a long-running corruption scheme at FIFA. 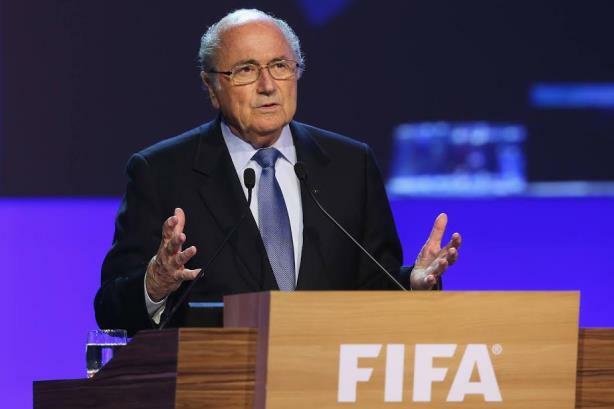 The international soccer body’s president, Sepp Blatter, said earlier this month that he is stepping down. The public has also been watching how FIFA's global sponsors are responding to corruption charges against the group's officials. "We have many clients who are sponsors and heavily involved in this world," said McBride. "They are putting their name and reputation out there by being affiliated or partnered with sports teams, organizations, or athletes, and they want to do everything they can to be as prepared and insulated as possible." Ketchum Game Plan will provide clients with issues management strategies, reputational risk preparedness, and activations for brands invested in the world’s biggest sports events. "We are taking the time to sit with our clients, understand what their objectives are, understand their programming, and go through a rigorous process of making sure they understand the comms challenges that may result," McBride added. Ketchum represented the Kremlin through its hosting of the Winter Olympics in Sochi last year, and also as Russia’s relationship with the West strained over the country’s role in the conflict in Ukraine. The firm stopped working with the Russian Federation in March. Earlier this year, the LA Marathon selected Ketchum sports and entertainment as its PR AOR after a competitive review.